With Shift Cycle Wear, it's now easier than ever to bring your custom creations to life! 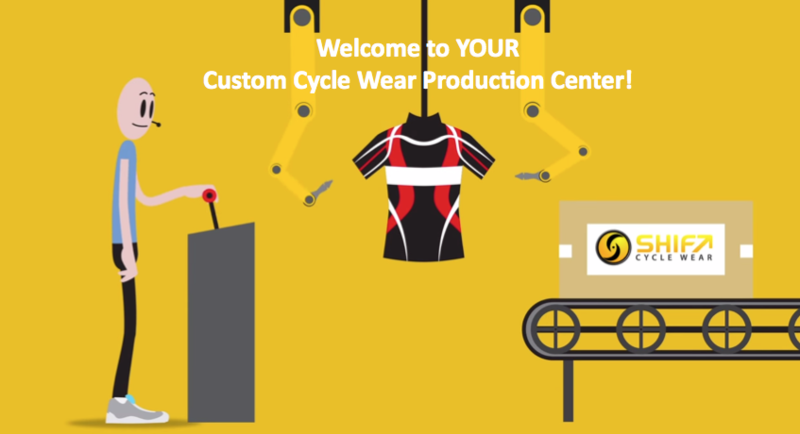 Our Custom Cycle Wear Production Center was designed specifically for individuals as well as small clubs and teams. Here, you can select the item you want to turn into your one-of-a-kind wearable work of art! Once we receive your completed artwork template, we will contact you to confirm your artwork requirements and your order size breakdown. And remember - with SHIFT, there are never any set up fees or domestic shipping fees! What are you waiting for? Express yourself today and stand out from the peloton with your very own custom cycle wear!